Albert Held was born in Minnesota on March 25, 1866. He studied for two years at the University of Minnesota, then began his career as a draftsman. Held moved to Spokane after the fire of 1889 to help rebuild the city, contributing to the push by the city to transition from wood frame buildings to brick and stone “blocks” that were often reinforced by steel. He was the first architect of Spokane and Eastern Washington to join the American Institute of Architects. In addition to being an architect, Held was also the director of the Exchange National Bank in Spokane and served on Spokane’s Park Board. He remained an active community leader and prominent Spokane Citizen until his death in 1924. 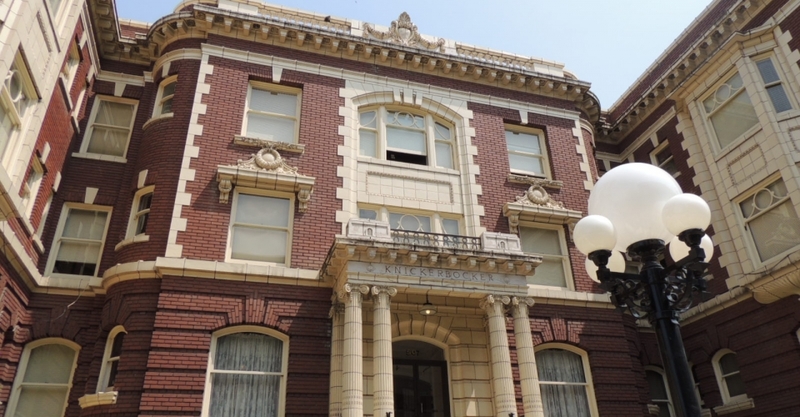 Some of his most notable buildings include the Holley-Mason Building, St. Luke’s Hospital, the Globe Hotel, the San Marco Apartments, the Knickerbocker Apartments, and the Breslin Apartments. Held brought Spokane classical architectural styles, but also integrated innovations into his architectural designs. 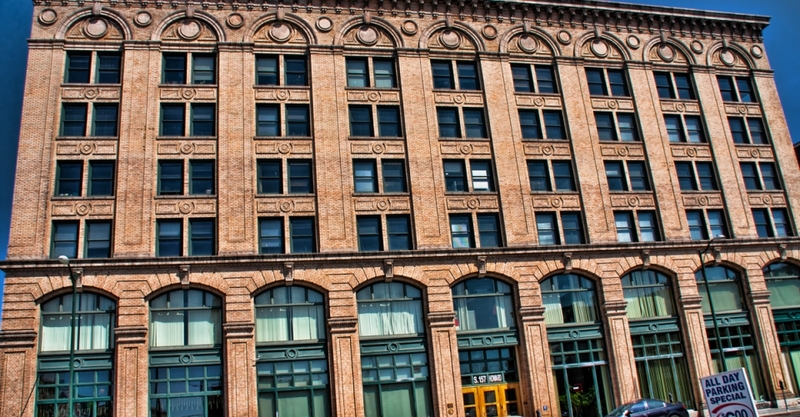 Held’s Holley-Mason Building, built in the Renaissance Revival Style, is one of Washington State’s first reinforced concrete commercial buildings and is touted as the city’s first fire proof building; a reputation that has been upheld as the building has survived four fires. 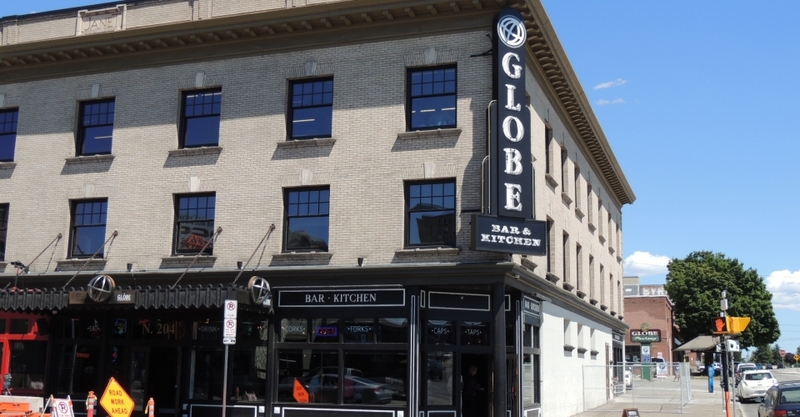 The Globe Hotel is an example of a Single Room Occupancy Hotel, a distinctive form of working class housing which was popular in the first decades of the twentieth century in Spokane. 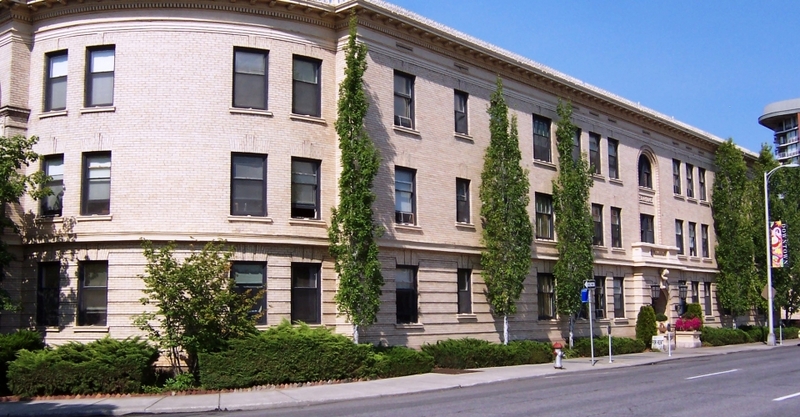 This form of residence proved prominent in the support of the four major railways that laid track through Spokane and the industries that resulted around the turn of the century; housing the large number of laborers, mostly young and single men, who came to work in Spokane’s growing economy. Held was also responsible for designing several depots and stations on the growing Inland railroad system. The architect was also a contributor to the growing need of downtown apartments for small middle-class families that offered convenience of location in addition to the amenities and luxuries that were accustom for the middle-class. To fill this growing need, Held designed buildings such as the San Marco Apartments, Knickerbocker Apartments, and the Breslin Apartments which follow the Renaissance Revival and Beaux Arts Motifs. Albert Held was a significant influence during the turn of the century era that proved to be vital in Spokane’s architectural identity. “Albert Held Taken by Death,” Spokesman Review, June 29, 1924. Ned M. Barnes Northwest Room Vertical File: Held, Albert. Spokane Public Libraries. Durham, N. W. History of the City of Spokane and Spokane County Washington From Its Earliest Settlement to Present Time, Volume 3. Chicago: The S. J. Clarke Publishing Company, 1912. 200. Ned M. Barnes Northwest Room Vertical File: Held, Albert. Spokane Public Libraries.